It is a pleasure to join you at this Asia House breakfast. I welcome this opportunity to meet with UK business leaders and senior members of Asia House. Thank you for your interest and support for China-UK relations over many years. Talking about China-UK relations, a catch-phrase for this year is 'Golden Time'. This naturally becomes the theme of my speech this morning. To begin with, let me share with you the story behind the 'Golden Time'. The year 2015 is no ordinary year. At the start of the year, in my exchanges with my British friends, I explained to them how this year was going to be different. I indicated this would be a most significant year with a series of good, big and happy events. So I call 2015 the "big year" for China-UK relations. Then came February, and Prime Minister Cameron, in his Chinese New Year message, referred to 2015 as the "Golden Year". He later went on to envision a "Golden Time" for China-UK relations in the coming five years. This depiction gradually became a consensus between Chinese and British leaders. It was quoted by both sides on many occasions. China and the UK have now agreed to jointly initiate a 'Golden Time' for the bilateral relations. People may ask, what are the indicators of a 'Golden Time'? In my view, there are three main indicators. First of all, you find them in the increasingly strong political mutual trust between China and the UK. This is reflected in the close contacts and exchanges at the top level. · In March, The Duke of Cambridge paid his very successful visit to China. This was the most important royal visit to China in nearly 30 years. · In May, shortly after the new UK government was formed, Prime Minister Cameron was on the phone with Premier Li Keqiang. The two leaders agreed to work together to bring China-UK relations to a new and higher level. 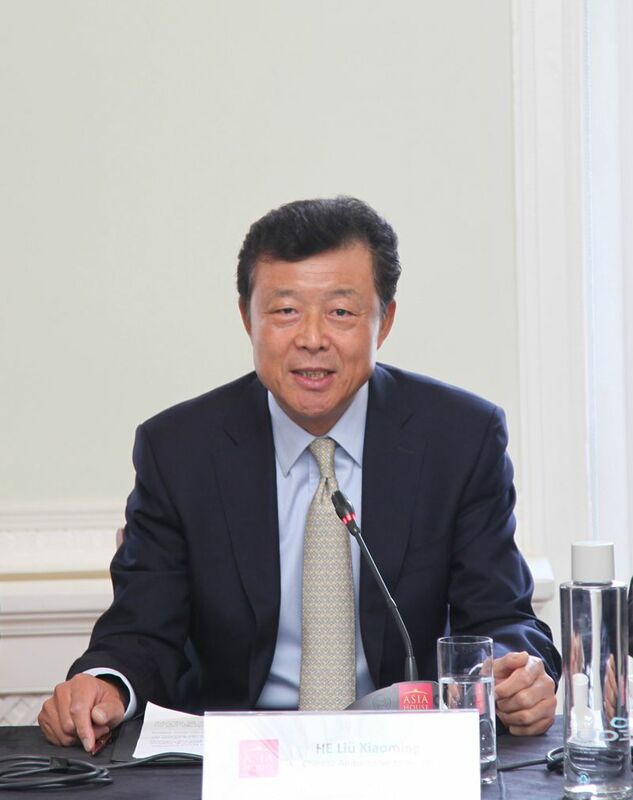 · In early June, less than a month after the British election, Chinese Foreign Minister Wang Yi came here to establish early contact with the new British government. · June also witnessed a visit by Meng Jianzhu, special envoy of President Xi Jinping and secretary of the CPC Central Committee's Political and Legal Affairs Committee, and a visit by Guo Jinlong, Secretary of Beijing Municipal CPC Committee. Both are members of the Politburo of CPC Central Committee. · China-UK trade in goods totaled 36.74 billion US dollars in the first half of this year. China has thus become the UK's fourth largest trading partner. In turn, the UK has become China's second largest trading partner in the EU. 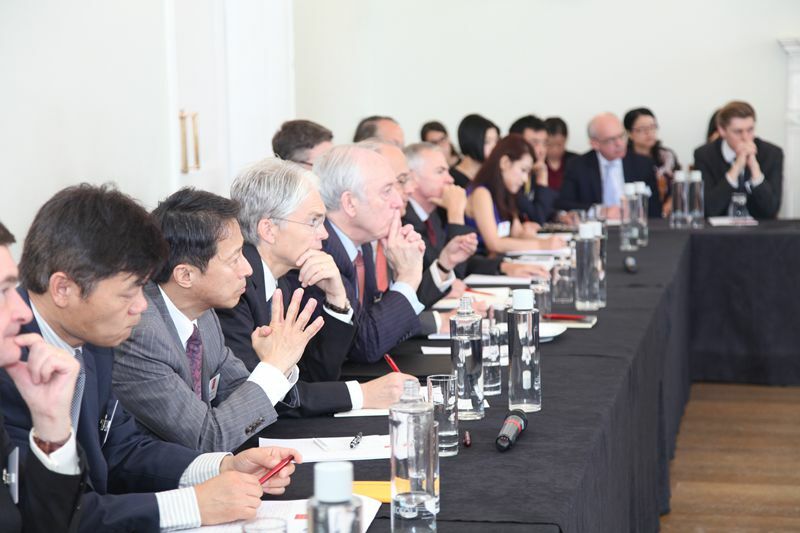 · The UK is China's number one investment destination in Europe. The total investment stock stands at over 40 billion US dollars. Projects cover a wide range of economic fields, from infrastructure, commercial property, brand network to R&D centres and high-end manufacturing. o China and the UK have signed their first currency swap agreement. o The UK has been awarded the first RMB RQFII quota outside Asia. o The UK has issued its first RMB denominated treasury bonds. 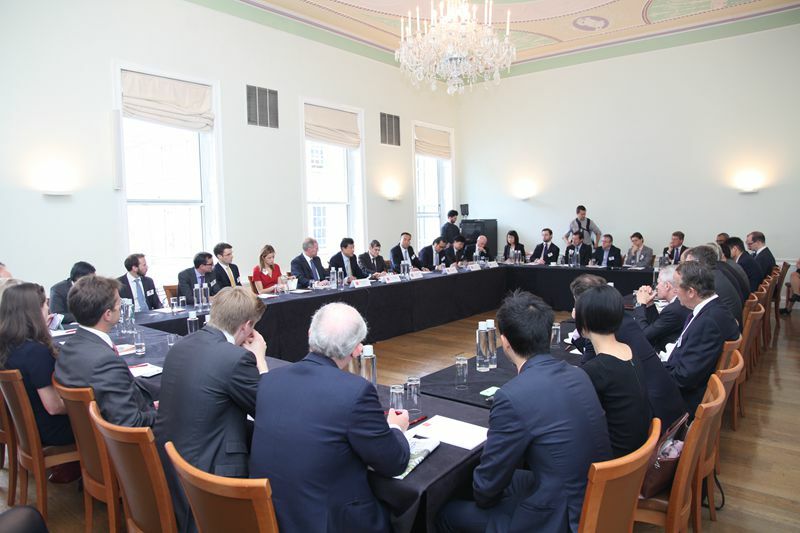 o In March this year, the UK announced its application for membership in the Asia Infrastructure Investment Bank established at China's initiative. This again put the UK in the lead among all developed nations. The third indication of the 'Golden Time' is a kaleidoscope of cultural events and people-to-people exchanges. · There will be 66 events or projects under 11 categories. · They will take various artistic forms, including visual art, design, theatre, music, dance, film, sports and exchanges between think-tanks. · The British public will be treated to a feast of classic, modern and contemporary art works and events brought from China. 'Creative China' will produce a bumper harvest for China-UK cultural exchange and cooperation. "The golden age is before us, not behind us". This phrase really captures the current spirit of the bilateral relations between our nations. An even better future for China-UK relationships is unfolding right before us. Going forward, there will be a series of high-level visits between China and the UK. In a week's time, Secretary Hammond will set out for Beijing for a new round of China-UK Strategic Dialogue. In September, Vice Premier Liu Yandong will come to London to co-host the Third Meeting of the High-Level People-to-People Dialogue. Also in September, First Secretary and Chancellor George Osborne will go to Beijing to co-host the Seventh Meeting of the Economic and Financial Dialogue. In the 'golden' month of October, President Xi Jinping will pay a state visit to the UK. This will be the first state visit by a Chinese President in ten years. The historic significance of this visit cannot be overstated. It is expected to mark a new milestone and herald a 'Golden Time' for China-UK relationship. The peoples of our two countries cherish high hopes for the state visit in October. We are ready to join hands and work with our British colleagues to ensure a complete success of this visit. Together, let's embrace the 'Golden Time' of China-UK relations.